Mum of Five Staying Sane: Introducing the Bugaboo Runner jogger stroller pushchair. Compatible with all existing Bugaboo seat units or can be bought with it's own seat unit. RRP and more details here. Available from June 2015. Introducing the Bugaboo Runner jogger stroller pushchair. Compatible with all existing Bugaboo seat units or can be bought with it's own seat unit. RRP and more details here. Available from June 2015. It's coming! The Bugaboo Runner jogger pushchair. 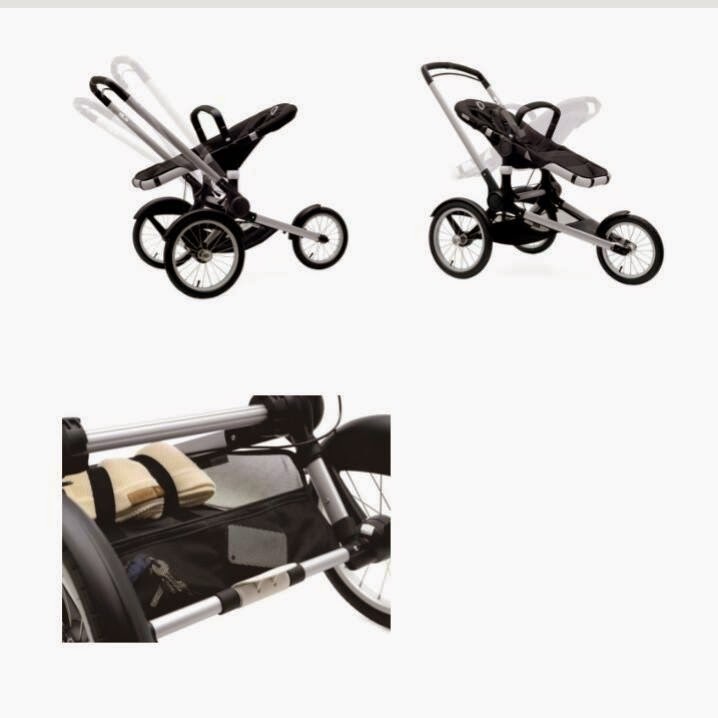 Bugaboo's first jogging stroller that can be used with an existing Bugaboo seat unit or can be purchased with a seat unit as a complete package. Whether you run to feel free, run to get healthy or run because you love to go fast, the Bugaboo Runner is the latest innovation to keep you on the move together with your child. 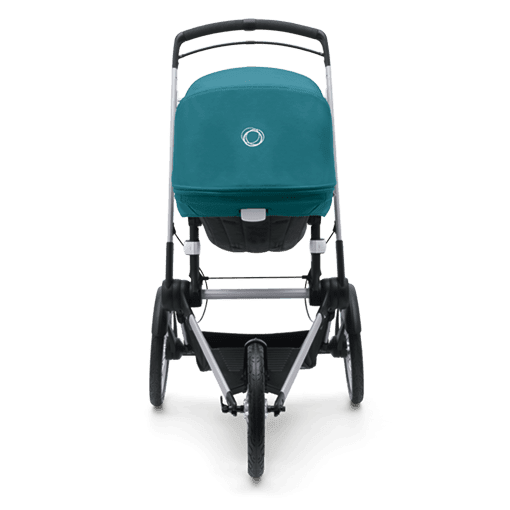 We designed the Bugaboo Runner as a complete jogging pushchair (including seat and adapters), and as an accessory for Bugaboo owners (including adapters). Why should you buy two different pushchairs just because you enjoy running? You and your child already love your Bugaboo pushchair, now you can take it out for a jog. 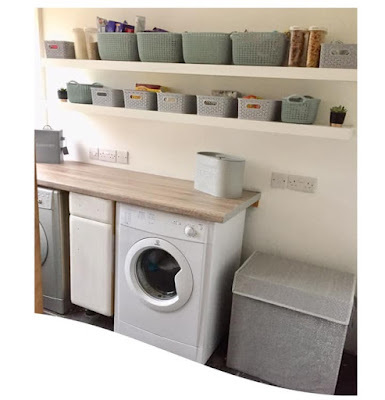 Just click on your Bugaboo Cameleon³, Bugaboo Bee (2010 model onwards), Bugaboo Donkey or Bugaboo Buffalo seat (please see bottom of page for recommended seat uses or visit the Bugaboo website too), grab some water and snacks, a blanket for your child and go! Unique to the Bugaboo Runner is that you can choose to jog with your child (from 9 months) facing you – or looking out at the world. Once your child is old enough to face the world, why not have fun together, by exploring new places and playing games? Counting trees, I-spy, sing songs, all these games are a great way to connect with each other and the world around you. Of course the Bugaboo Runner was designed with active parents who love to explore yet untrodden paths, which is why it has air-filled tyres and a suspension system to absorb any bumps along the way. 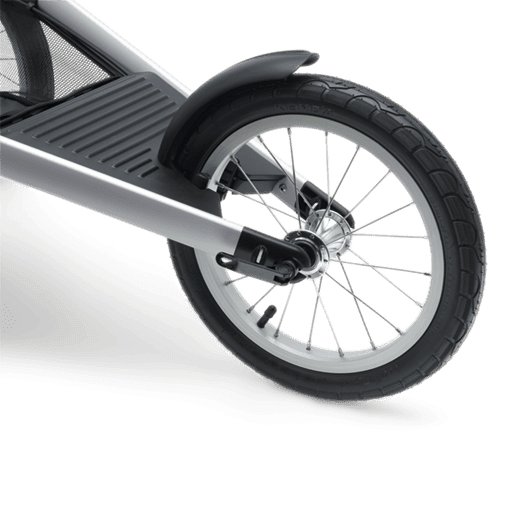 A speed-control brake along the entire handlebar allows you to adjust your speed with either hand, and we’ve made the fixed, three-wheeled base as lights as possible for easy steering. 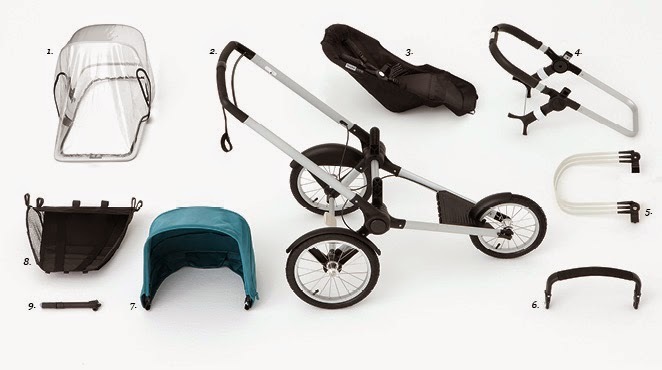 Thanks to its compact fold, the Bugaboo Runner base will fit any car boot, so you’ll never need to leave home without it. Tracking controls on the front wheel and a front view of the Bugaboo Runner with seat parent facing. * Including Bugaboo Runner/ Bugaboo Buffalo adapters. The Bugaboo Runner chassis (incl. 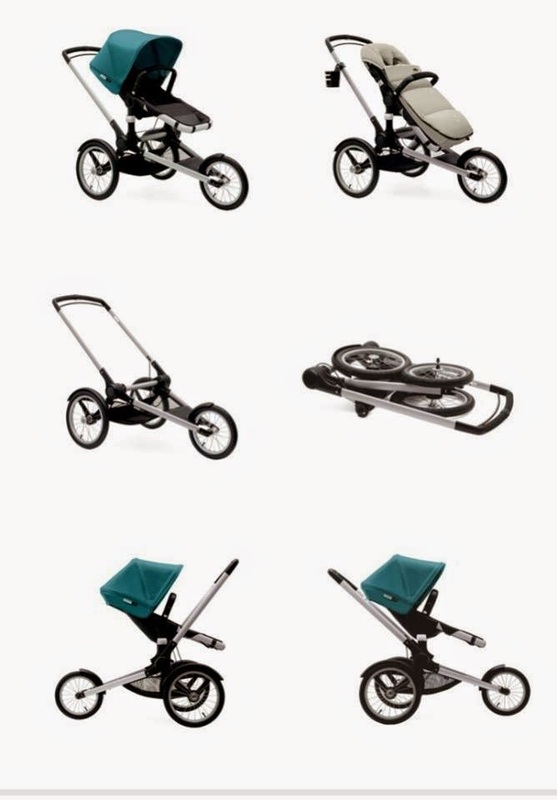 adapters) will retail for £349/ €400, the Bugaboo Runner complete (chassis + seat, incl. adapters) will retail for £583/ €710. Recommended Bugaboo seats that can be used with the Runner chassis. Due to continuous improvements in our products and (varying) regional safety regulations, Bugaboo recommends use of the latest pushchair seat in combination with the Bugaboo Runner extension. Due to varying safety regulations resulting in different product designs per region, the recommendation can vary per region.